What is an eyelid cyst, and what are the underlying causes? The eyelids contain specialised oil-producing glands (meibomian glands) which discharge their secretions onto the surface of the eyes, and are essential in preventing the tear film from evaporating too quickly. If the ducts of the meibomian glands become blocked the resultant collection of oils may act as a ‘foreign body’ resulting in an inflammatory reaction and a rapidly enlarging reddish lump in the eyelid. This is more likely to occur where there is associated inflammation of the margin of the eyelids (blepharitis). Occasionally there may be two or more such cysts in a single lid, and more than one eyelid can be involved. In time, the inflammation tends to resolve spontaneously, leaving a smaller but more solid pea-sized lump in the eyelid called a “chalazion” or a “meibomian cyst”. Such lumps or cysts can resolve very slowly but typically they require surgical removal if they do not settle spontaneously. 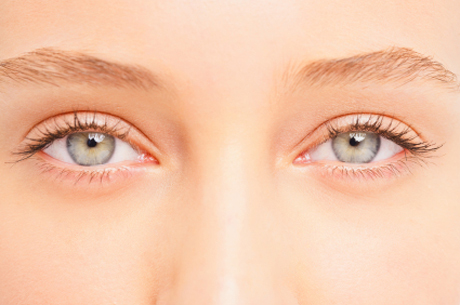 What are the risk factors for developing eyelid cysts? 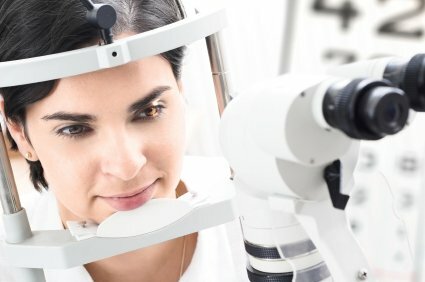 Blepharitis and lid cysts are more common in fair skinned Scandinavian and Caucasian individuals, and can occur at any age. Patients cite numerous factors as contributing to blepharitis and cyst formation. These include: lack of sleep, ‘stress’ at the work place or home, dehydration, air-conditioned environments, and even alcohol in a few cases. However, little evidence exists to support, or refute, these possible causes. What is the treatment of these lid cysts? Regular lid hygiene with warm compresses and topical antibiotic ointment to the eyelid margins reduces the likelihood of chalazion formation in those individuals at risk. Established cysts may resolve with this treatment, but those that do not settle require an incision and curettage. Omega oils (for example, in Flax seed oil supplements) are thought to improve the glandular function of the lids and reduce the risk of oil build-up and cyst formation. What is an ‘incision and curettage’? In this procedure, the contents of the cyst are released. This rapidly leads to resolution of the inflammation, and re-establishment of normal glandular function in the lids. A small amount of local anaesthetic is injected under the skin of the eyelid, and the contents of the cyst are released from the inside surface of the lid (this avoids a skin incision and a visible scar). In a small proportion of patients the cyst may return and require a reoperation. How long should I wait before considering this procedure? Approximately half of all lid cysts settle with conservative measures within about 6 weeks. However, sometimes a small residual collection of oils persist once the inflammatory features have abated. These cysts, and others which become very large and inflamed, require curettage to allow the lid and glandular function to return to normal. In general, a cyst which is responding to warm compresses and topical antibiotics should be observed, whilst those which do not respond, or become increasingly swollen, require minor surgery. Is this a life-long condition? No – although some patients suffer a period of a few months to years of recurrent, or multiple, eyelid cysts. As the accompanying blepharitis is brought under control, the risk of developing a cyst lessens.